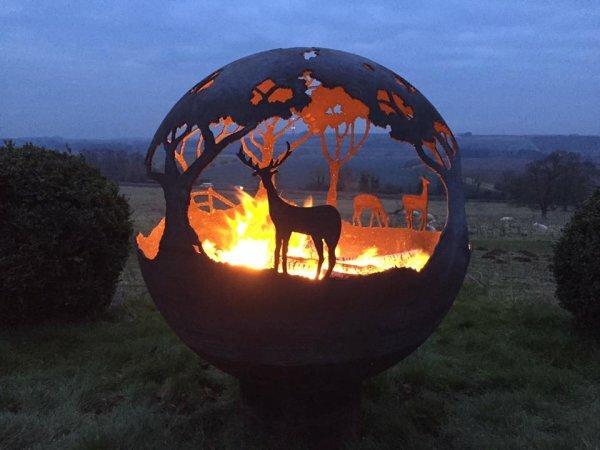 Metal fire pits are David's latest project. Not only will these sculpted sphere's be a focal point in your garden, by night they double up as a unique patio heater. The Fire Pits are 1 metre in diameter, 6mm thick and priced at £1399.00 + delivery. David is currently working on new designs and will add them to his website and facebook page shortly - watch this space! David is able to design personal bespoke fire balls - please contact him with your enquiry.